Step 1 - Determine the child you want to bless. Boy or Girl? Ages 2-4, 5-9, 10-14. Step 3 - Bring your gifts and $9 for shipping to Freedom Life on Saturday, November 17th at 9am. Shoe boxes will be provided. 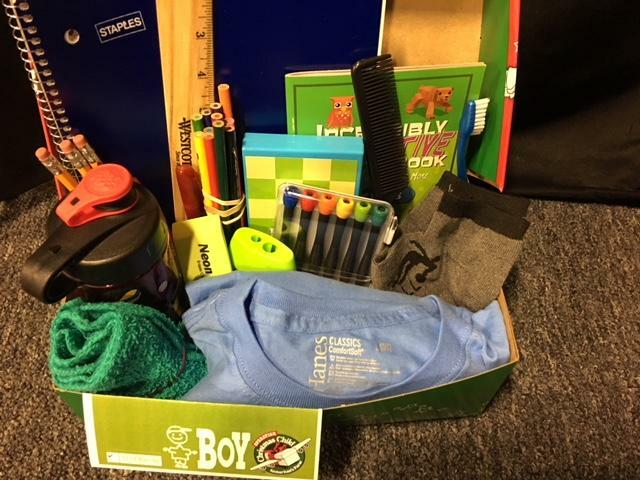 (Each filled shoe box requires $9 for shipping.) Individuals and families will assemble their gift boxes on site. 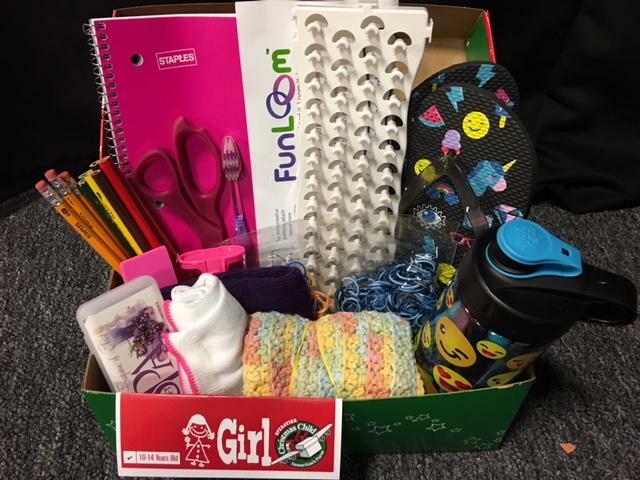 Pictures will be taken to include in the shoe box so the child can see who the gifts are from, along with a personal note to the child recipient. Individuals and families will be invited to pray over the boxes upon completion. Light refreshments will be offered for this fun morning together! 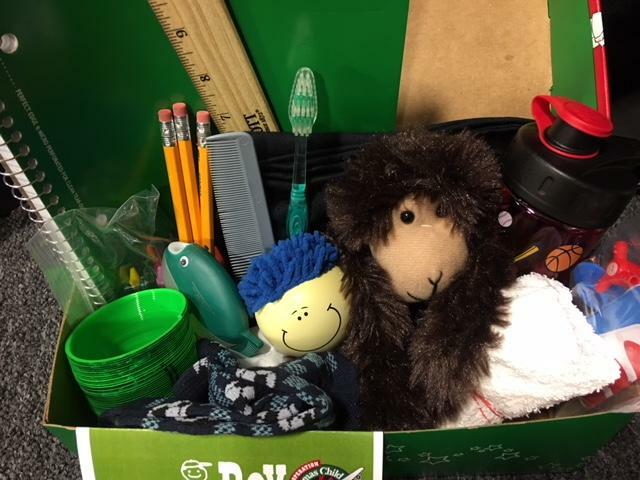 ** If you are unable to attend the packaging event on November 17th, please drop off your gift items and $9 at a Freedom Life location by Sunday, November 11th. 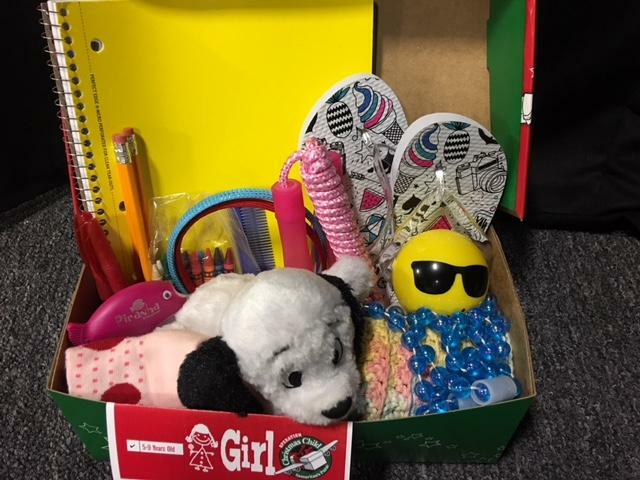 Each box should have a “wow” item, such as a clothing outfit, stuffed animal, doll, musical instrument, etc. Consider including personal care items. Ivory soap is recommended because it floats. A good idea is to remove the soap from the box, place it in a plastic bag and wrap a new washcloth around it. *Please note: Due to international laws, toothpaste is not permitted in boxes. Clothing and accessories are a big hit! Water bottles and cups are popular gift choices, along with toys and crafts. Small tool kits (for boys) and little sewing kits — along with buttons and a piece of fabric — (for girls) are also good ideas. The following items are prohibited: Candy; toothpaste; gum; used or damaged items; war-related items such as toy guns, knives, or military figures; chocolate or food; seeds; fruit rolls or other fruit snacks; drink mixes (powdered or liquid); liquids or lotions; medications or vitamins; breakable items such as snow globes or glass containers; aerosol cans. For more information, check out the Frequently Asked Questions page. Thank you for helping us share the love of God and the Good News of Jesus with children around the world! Please email info@freedom.life with any questions.